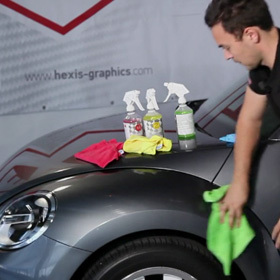 Our training videos illustrate the techniques for the correct installation of a vehicle wrap or a CarProtect protection film. They contain instructions for all necessary requirements: working environment, design of a digitally printed wrap, cleaning… up to the eventual removal of the film. These are provided free for your own use; however they cannot be substituted for a training course with one of our expert teams. Pascal Bazonnard shows the techniques and some tricks for the final cuts at the end of a full wrap. 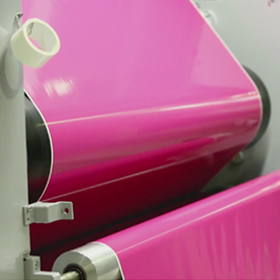 This sequence shows all the necessary steps for the preparation of a digitally printed wrap. 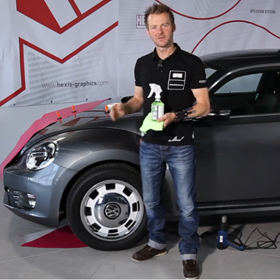 In this sequence Pascal Bazonnard explains the installation techniques for the vehicle protection film “CarProtect”. 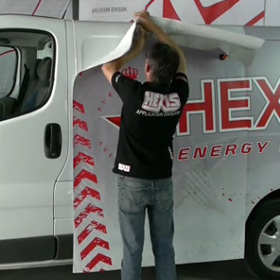 The HEXIS team explain the basics of wrapping with self-adhesive films: the different types of films, surface preparation, etc. 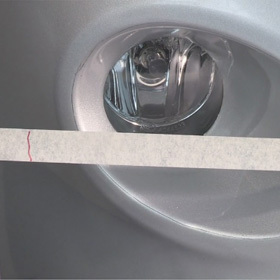 We give away some tricks to understand how a cast film behaves when it is shaped or stretched. Pascal Bazonnard explains how to install a full wrap on a commercial vehicle with heavy deformations.